As Senior Advisor at Isle Utilities, Mr. Ciaccia provides strategic support to the Isle Senior team while also facilitating the introduction of Isle’s capabilities to the broader water sector. Mr. Ciaccia career has been within the public water utility sector. 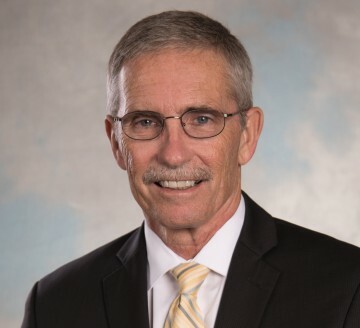 Most recently, he was the Executive Director of the Northeast Ohio Regional Sewer District, where he oversaw all aspects of managing one of the nation’s largest wastewater management utilities. In that role, he oversaw compliance with a $3 billion, 25-year EPA consent decree for a long-term control plan to significantly reduce combined sewer overflows, and oversaw development and implementation of a new stormwater management program. Mr. Ciaccia’s prior experience includes Director of the Public Utilities Department for the City of Cleveland, Commissioner of Cleveland, and Deputy Commissioner of Cleveland Water. Mr. Ciaccia’s professional affiliations include the Association of Metropolitan Water Agencies, American Water Works Association, Water Research Foundation, US Water Alliance, and the National Association of Clean Water Agencies. In each organization, he has served on the board and as an officer. He currently is Chair of Cleveland Water Alliance and a Board Member of Northeast Ohio Regional Sewer District.